В статті досліджено взаємозв’язок між організаційної культурою та ефективністю менеджерів на прикладі університетів Китаю. В статті встановлені особливості та базові характеристики організаційної культури в цілому, проведений аналіз організаційної культури університету. Дослідження взаємозв’язків між організаційними зобов’язаннями та ефективністю менеджерів китайського університету проведено за допомогою аналізу надійності та інструментарію стуктурного моделювання (побудова структурних рівнянь). В ході проведення дослідження виявлено такий причинно-наслідковий зв’язок: організаційна культура має значний вплив на зобов’язання працівників, а зобов’язання позитивно впливають на ефективність менеджерів. Проте у дослідженні підкреслюється, що організаційна культура не має суттєвого впливу на продуктивність працівників, що суперечить багатьом минулим дослідженням щодо впливу організаційної культури на ефективність. Це може бути пов’язано з унікальною природою китайських університетів, оскільки більшість університетських керівників призначаються центральним урядом. В дослідженні також запропоновано змінити структуру управління університетами для задоволення зростаючих вимог щодо більшої автономії наукових та адміністративних працівників. Автори дійшли висновку, що для реалізації мети по досягненню університетом світового рівня, необхідно зосередити увагу на трьох ключових моментах: таланті, управлінні та ресурсах. Під талантом мається на увазі академічний талант професорів, дослідників, співробітників та студентів. Управління включає в себе сприятливу регуляторну базу, академічну свободу та лідерство. Ресурси представлені дохідною частиною університету, бюджетами та дослідницькими грантами. Крім того, встановлено, що керівництво університету має прийняти нову модель спільного управління та адаптуватися до концепції «глобалізованого робочого місця». Необхідно заохочувати культуру відкритості та прозорості китайських університетів. Значною проблемою для китайських університетів є низька конкурентоспроможність на світовій арені. Так, встановлено, що базовим аспектом вирішення даної проблеми є оцінка творчого таланту наукового середовища. Це в подальшому створить можливість прийняти ефективні управлінські рішення щодо підвищення іміджу китайських університетів у світі. Ключові слова: університетська культура, ефективність, зобов’язання, Китай, організаційна культура, ефективність менеджерів, структурне моделювання, причинно-наслідковий зв’язок, глобалізоване робоче місце. Allen, N. J., & Meyer, J. P. (1990). The measurement and antecedents of affective, continuance and normative commitment to the organization. Journal of Occupational Psychology, 63, 1-18. Bartell, M. (2003). Internationalization of universities: a university culture-based framework. Higher Education, 45, 43-70. Berberoglu, A. & Secim, H. (2015). Organizational commitment and perceived organizational performance among health care professionals: Empirical evidence from a private Hospital in Northern Cyprus. Journal of Economics and Behavioral Studies, 7(1), 64-71. Borman, W. C., & Motowidlo, S. M. (1993). Expanding the criterion domain to include elements of performance. Schmitt,N. and Borman. W.C. (Eds. ), San Francisco: Jossey-Bass. Byrne, B.M. (1998). Structural Equation Modeling with LISREL, PRELIS and SIMPLIS: Basic Concepts, Applications and Programming. Mahwah, New Jersey: Lawrence Erlbaum Associates. Coldwell, D. and Herbst, F. (2004). Business Research. Cape Town: Juta and Co Ltd.
Dadgar, H., Barahouei, F., Mohammadi, M., Ebrahimi, M., and Ganjali, A. (2013). The Relationship Between Organizational Culture, Job Satisfaction, Organizational Commitment and Intention to Stay of Health Personnel’s of Zahedan University of Medical Sciences. World Applied Sciences Journal 21(8), 1220-1228. Deal, T. and Kennedy, A. (1982). Corporate Culture: The Rites and Rituals of Corporate Life. Reading, PA: Addison-Wesley. Denison, D. (1990). Corporate culture and organizational effectiveness, John Wiley & Son’s, New York. Dwivedi, S., Kaushik, S., and Luxmi (2014). Impact of Organizational Culture on Commitment of Employees: An Empirical Study of BPO Sector in India. Vikalpa, 39(3), 77-92. Guan, X., Sun, T., Hou, Y., Liang, Z., Luan, Y. Z., and Fan, L.H. (2014). The relationship between job performance and perceived organizational support in faculty members at Chinese universities: a questionnaire survey. BMC Medical Education. 14(15). Available at: https://doi.org/10.1186/1472-6920-14-5. Hakim, A. (2015). Effect of Organizational Culture, Organizational Commitment to Performance: Study In Hospital Of District South Konawe Of Southeast Sulawesi. The International Journal of Engineering and Sciences. 4(5), 33-41. Iriqat, R.A. (2016). Organizational Commitment Role in Mediating the Impact of the Organizational Culture Dimensions on Job Satisfaction for MFIs’ Employees in Palestine. International Journal of Business and Social Science. 7(5), 125-135. Jameson, J. (2011). Changing Leadership Identities: the Role of Trust and Organisational Cultures in a Recessionary UK Higher Education Policy Context, SRHE Higher Educational Policy Network: London Metropolitan University. Jafri, M.H., & Lhamo, T. (2013). Organizational commitment and work performance in regular and contract faculties of Royal University of Bhutan. Journal of Contemporary Research in Management, 8(2), 47-58. Joreskog, K. G., & Sorbom, D. (1984). Lisrel VI. Analysis of linear structural relationships by maximum likelihood, instrumental variables, and least squares methods. Mooresville, Indiana: Scientific Software. Leedy, P. D., & Ormrod, J. E. (2005). Practical research: Planning and Design (8th ed.). Upper Saddle River, NJ: Prentice Hall. Li, P., Liu, Y., Yuan, P., Ju, F. (2017). The Study on the Relationship between University Faculties Job Stress and Organizational Commitment in China, Procedia Computer Science, 122, 642-648. MacCallum, R.C., Browne, M.W., and Sugawara, H., M. (1996). Power Analysis and Determination of Sample Size for Covariance Structure Modeling, Psychological Methods, 1(2), 130-49. McNay, Ian (1995). Universities going international: choices, cautions and conditions, in P. Blok (ed. ), Policy and Policy Implementation in Internationalisation of Higher Education, Amsterdam: EAIE. Mowday, R. T., Porter, L. W., & Steers, R. M. (1984). Employee-organization linkages: the psychology of commitment, absenteeism, and turnover. American Journal of Sociology, 38(6), 19–43. Ministry of Education of the People’s Republic of China (2018). Number of Higher Education Institutions. Statistics Department, MOE China. Northcraft, T. & Neale, H. (1996). Organisation Behaviour. London: Prentice-Hall. Rashid, M.Z.A., Sambasivan, M., and Johari, J. (2003). The influence of corporate culture and organizational commitment on performance. Journal of Management Development, 22(8), 708-728. Ritchie M. (2000). Organizational culture: An examination of its effect on the initialization process and member performance. Southern Business Review, 25, 1-13. Roijen, G., Stoffers, J., and de Vries, R. (2017). Characteristics of High Performance Organization and Knowledge Productivity of Independent Professionals. International Journal of Management and Applied Research, 4(2). Schein, E. H. (2010). Organizational culture and leadership. San Francisco, CA: Jossey-Bass Publishers. Shamandi, E., Shilong, A.D., Ismail, I.A., Samah, B.A., and Othman, J. (2011). Competencies, Roles and Effective Academic Leadership in World Class University. International Journal of Business Administration, 2(1), 44-53. Shannawaz, M.G. and Hazarika, N. (2004). Organizational commitment and organizational culture: A study of two hospitals in Assam. Journal of Indian Academy of Applied Psychology, 30(1-2), 124-130. Sporn, B. (1996). Managing university culture: an analysis of the relationship between institutional culture and management approaches. Higher Education, 32(1), 41-61. Steiger, J. H., & Lind, J. C. (1980). Statistically based tests for the number of common factors. Paper presented at the annual meeting of the Psychometric Society, Iowa City, IA. Tierney, W. G. (1988). Organizational culture in higher education: defining the essentials. Journal of Higher Education, 59 (1), 2-21. Van Scotter, J. R., & Motowidlo, S. J. (1996). Interpersonal facilitation and job dedication as separate facets of performance. Journal of Applied Psychology, 81(5), 525-531. Yiing, L. H., and Ahmad, K.Z.B. (2009). 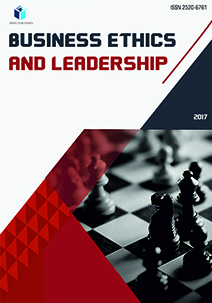 The moderating effects of organizational culture on the relationships between leadership behavior and organizational commitment and between organizational commitment and job satisfaction and performance. Leadership and Organization Development Journal, 30(1), 53-86. Yilmaz, C. & Ergun, E. (2008). Organizational culture and firm effectiveness: An examination of relative effects of culture traits and the balanced culture hypothesis in an emerging economy. Journal of World Business, 43, 290–306. Yu, S.O. (2016). Reculturing: The key to sustainability of private universities. International Journal of Teaching and Education, 4(4), 88 – 105, doi:10.20472/TE.2016.4.4.005. Zefeiti, S.M.B., and Mohamad, N.A. (2017). The Influence of Organizational Commitment on Omani Public Employees Work Performance. International Review of Management and Marketing, 7(2), 151-160. Zhang, D. (2009). General education reform in Chinese universities: The perspective of organizational culture. Paper presented at the annual meeting of the 53rd Annual Conference of the Comparative and International Education Society, Francis Marion Hotel, Charleston, South Carolina. Zhang, W. J. (2016). Relationship between Organizational Culture Identity and Job Performance of Enterprise Employees. Paper presented at the 3rd International Conference on Advanced Education and Management, Hangzhou, China.